You are able to sign up for a free Mendeley account from the below address. From here you can use the ‘Get a free account’ button to sign up. 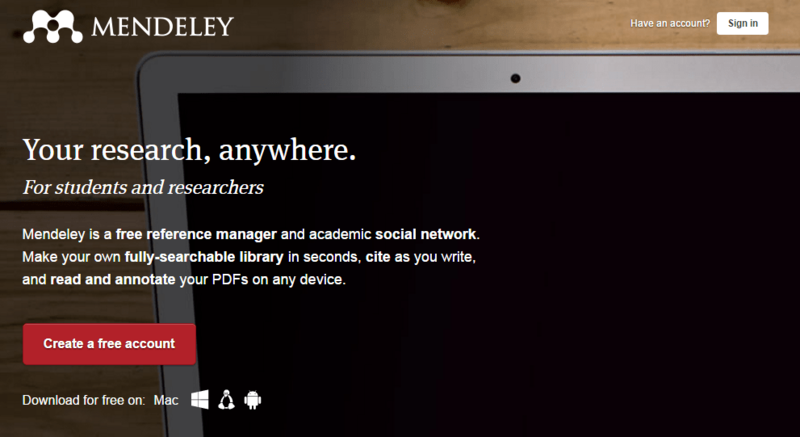 Once you have signed up you will be able to log in to the Mendeley Desktop app to use the features available through it. You will need to put in your name and email address to sign up, as well as creating a password. The second sign up screen will ask you to put in your field of study (subject of your degree) and you academic status (student > followed by the correct level of study). Selecting create an account will then ask you to input further details about yourself, including your current institution of study (University of St Mark & St John). Once you have completed this you will be able to start using your Mendeley account and will be able to sign in to the Desktop application.